Browse : Home SEO Authors And Content play A Vital Role In Link Building – What Is Their Power? Guest posting has been the only way of link building that seems to have done to death over the last few years. You must have seen numerous articles that deal with the latest and the most updated search operator that can help you locate the best guest posting opportunities. However, for the experts and the SEO analysts, link building through guest posting seems a tad bit linear and the entire process that is involved is convoluted. When you think of creating the best effect with the SEO companies, the bloggers and the webmasters are all running with the same queries. This means that the competition that you will face to gain a guest post opportunity is atrociously high. Guest posting always dealt with searching for websites that would publish their content that they’ve sent them and once this transaction is done, you can move on to the next website, requesting them to do the same things. This is a process that is far from the methods that make up black hat link building. What needs to be proposed is that you need to approach this from a different angle and try startling visitors and search engines with authors. Influential bloggers and authors have the ability to not only shape up great content, but they also have channels to distribute their content. Considering this, it certainly makes more sense to build relationships with authors instead of webmasters. Like guest posting, this approach can also be categorized into a structured process. The only difference here is that you don’t start with Google. Have a look at the process that you can take. 1. Look for good quality content that is relevant to your niche that can be shared hugely. 2. Locate the creators of the content and the sites in which they’ve posted on. 3. Filter through the lists in order to identify some major targets. 6. Leverage their distribution routes. Finding popular content is very important due to a number of reasons. The first reason is that it can allow you to understand the kind of content that seems to perform well within your niche. 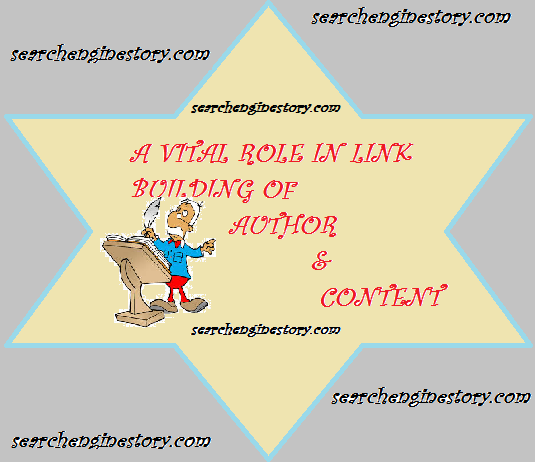 The second one is that it will give you a clear idea of who the top authors are and which kind of websites should benefit from working with such top-quality authors. Next you require finding the content creators where you not only get a list of content URLs but you also get the opportunity to share across each network. Hence after the new algorithm updates by Google, Google authorship and link management through unique and relevant content has become even more important. Try to take into account the above mentioned facts so that you can easily stay on the right track and keep attracting more and more visitors towards your website.